A constant feed of live data on sites that are blocked, along with associated judicial orders. 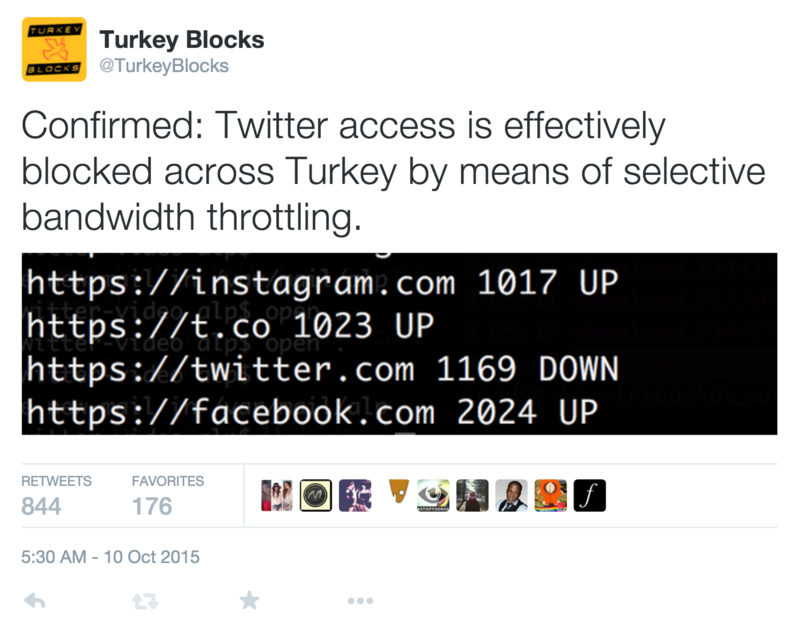 Update: See TurkeyBlocks.org for the live project – this concept page is archived for posterity. In Turkey, media freedom has suffered over recent months – to tackle extrajudicial censorship and improve democratic process, we need to first identify the extent of Turkey’s internet blocks. We’ve built code and hardware that can detect and identify each of the emerging four types of digital censorship used in Turkey, with a focus on social media blackouts following national emergencies. TurkeyBlocks has been credited as the project that confirmed the use of traffic shaping during emerging political events in Turkey, featuring in the Wall Street Journal, Forbes, Fortune Magazine, The Guardian and dozens of international and local publications as one of the region’s prominent digital freedom / transparency projects. 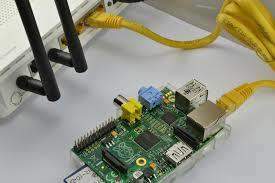 The physical and software systems are connected by API that let us connect the data feeds coming in from our endpoints in different cities. Our statistical model aggregates collected data and applies a running t-test to determine statistically significant answers to questions about whether recent forms of internet interference seen towards the end of 2015 are coincidental or malicious. A Yes/No answer provides the international community with the confidence to take action and engage on policy topics. Suspected instances of selective censorship and DPI-guided selective packetloss have been detected in recent months worldwide, including the recent US drone papers Twitter controversy, but we believe ours is the first effort to provide a clear technological analysis with a significant dataset and clear methodology. Our techniques, code and materials can benefit internet freedom efforts everywhere. By connecting data sources to the TurkeyBlocks social media accounts and network of organisations, we are now able to provide notifications when incidents of country-wide blocking or censorship are detected. We’re working on media freedom awareness, giving courses on legal issues and media ethics in several cities with partners here and look to expand operations at this critical time. We provide suggestions on how to avoid political censorship without breaking the law, and without auto-censoring one’s own voice, while also explaining how to respond to blog, media portal and social media blocking. We’re also working to expose unilateral censorship performed outside the country’s legal framework, as we did recently with national Twitter blocks. This particularly insidious form of censorship is difficult to detect and evades ordinary monitoring systems such as OONI. We’ve found ways to identify these and adapt as blocking techniques change over time and now aim to move forward as an Open Source project. There is currently no organised effort to analyse the overall censorship situation in this country, which leads to a lack of clarity for affected citizens, victims of incidents in the hours following incidents such as terror attacks. We want to build bridges with the international community including media/press support networks with whom we can share experiences. We have several nodes monitoring censorship and the data has been used effectively to notify and inform the public in Turkey on developing situations. The technology works we are seeking to make the technology platform resilient, more transparent and to deploy it to different cities across the country for better data sampling. This is a logistical project that requires training, travel and organisation of workshop events. We want to open up and deploy technology that collects censorship data in real time. Moreover, aim to become the go-to source for international press freedom organisations. Providing open data, analyses and visualisations will increase confidence in organising actions, statements and guiding policy work that can improve democratic process.